The ASTM D7066 standard test method is used for dimer/trimer of chlorotrifluoroethylene (S-316) Recoverable Oil and Grease and Nonpolar Material by Infrared Determination. ASTM D7066 defines oil and grease in water and wastewater. The method measures by IR absorption at 2930 cm-1 or 3.4 microns. 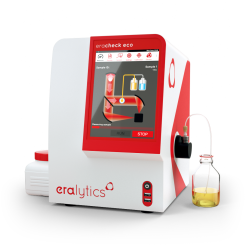 It covers the range of 5 to 100 mg/L and may be extended to a lower or higher level by extraction of a larger or smaller sample volume collected separately.